Cedar Roofing has exceptional thermal insulation properties. By using cedar, you can lower your heating costs. Cedar roofs act like a second layer of insulation to your home. 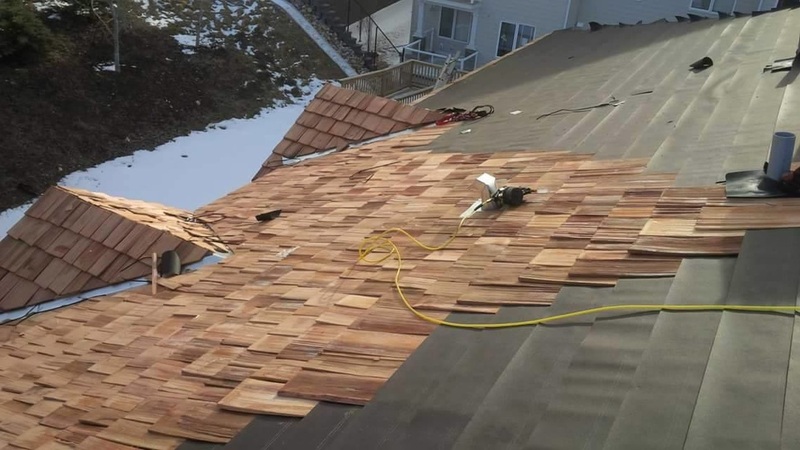 Most homes tend to lose most of their heat through the roof, so particularly for the cold winter climate here in Ontario, you will enjoy the heating cost saving of cedar roofing. Another added energy saving benefit is that it takes substantially less energy to manufacture a cedar roof then a petroleum based composition shingle. Cedar is one of the strongest woods. It is the only form of roofing that actually adds strength to the structure. Cedar also can stand up to a wide variety of climates. From hailstorms to winter storm conditions, cedar roofs can stand up to the elements. Cedar also has natural preservatives that resist moisture and decay. From the smooth clean lines of a cedar shingle to the rustic charm of a cedar shake, cedar roofing is a product that is often imitated by man made products. However, no mass made product can match the prestige and performance of Cedar shakes and shingles. When you choose a cedar roof, you're choosing a luxury item, not just a roofing material.